Make a basket in a day. 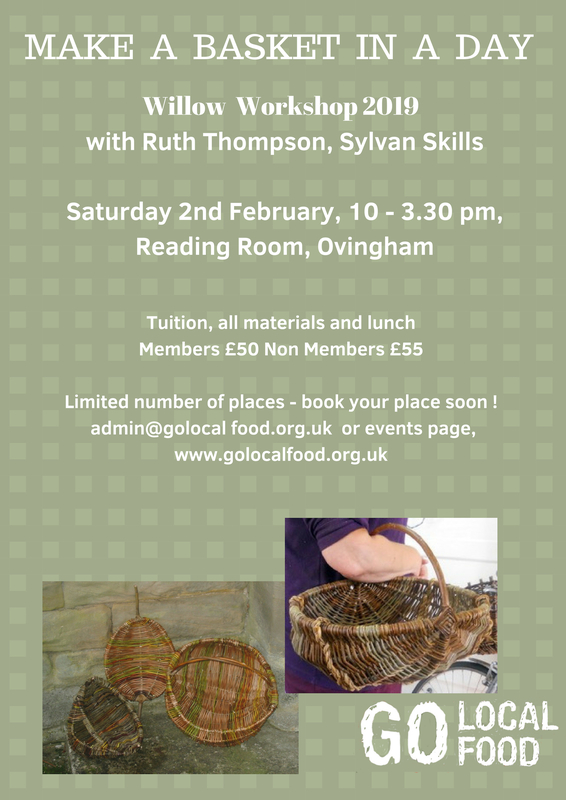 Weave your own willow basket in a day, with Ruth Thompson of Sylvan Skills. £50 members, £55 non-members, all materials, tuition and lunch are included. Email admin@golocalfood.org.uk to book your place or use the paypal button below.